www.fafsa.ed.gov - (FAFSA on the web) - online financial aid application. www.pin.ed.gov - this is where you apply for your Personal Identification Number (PIN) to electronically sign your FAFSA. 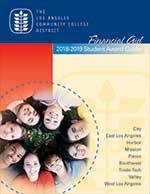 www.studentaid.ed.gov - step-by-step college and financial planning guide. www.nslds.ed.gov - use this site to track your federal student aid history including student loans. Your PIN is required to access this site. www.csac.ca.gov - California Student Aid Commission. This site provides information on the Cal Grant Programs, Chafee Grant, Child Development Grant Program and other specialized programs. 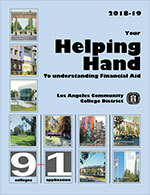 Some websites to which the Electronic Financial Aid Office provides links are for the convenience of users and are not managed or maintained by Los Angeles Valley College. The College and the Financial Aid Office do not review, control, or take responsibility for the contents of those sites.